Boston Firefighter James Plourde carries an injured woman away from the scene after a bombing near the finish line of the Boston Marathon in April 2013. The woman has an improvised tourniquet on her left leg just below the knee. A tourniquet is a binding that is applied to an injured limb to stop arterial blood flow resulting from a severe injury (characterized by bright red spurting blood). Although it has been used on battlefields since at least the times of the Roman Empire, after World Wars 1 and 2 the tourniquet became a questionable, even dangerous technique that was to be used only as a last resort, if at all. Despite the apparent absence of any medical studies, the tourniquet was said to cause such severe nerve damage that it often resulted in amputations. 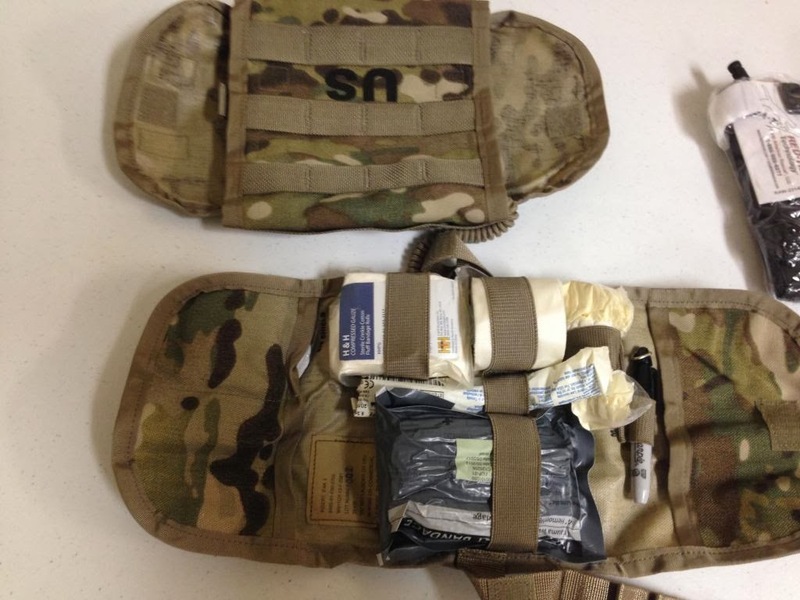 The newest US Army IFAK 2; the folding insert (bottom) containing the items slides into the pouch (top), which has two flap openings on either side. The pouch is carried on the rear lower back of the tactical vest. 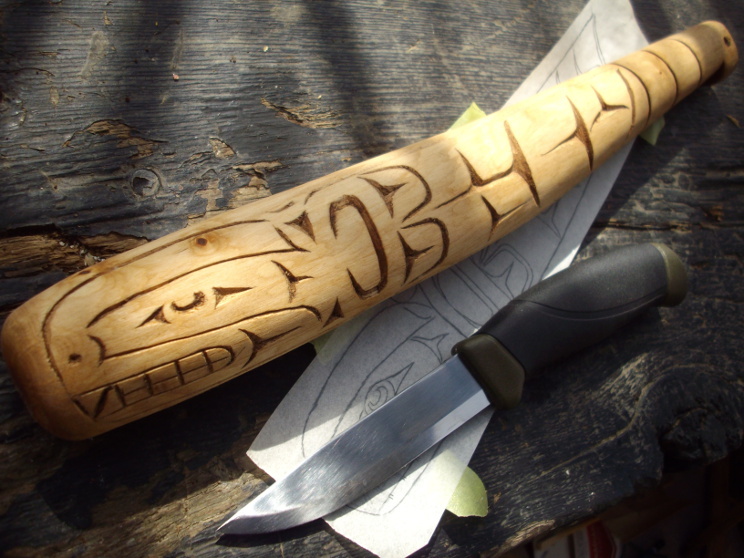 Mora Companion MG with a fish club carved from maple. 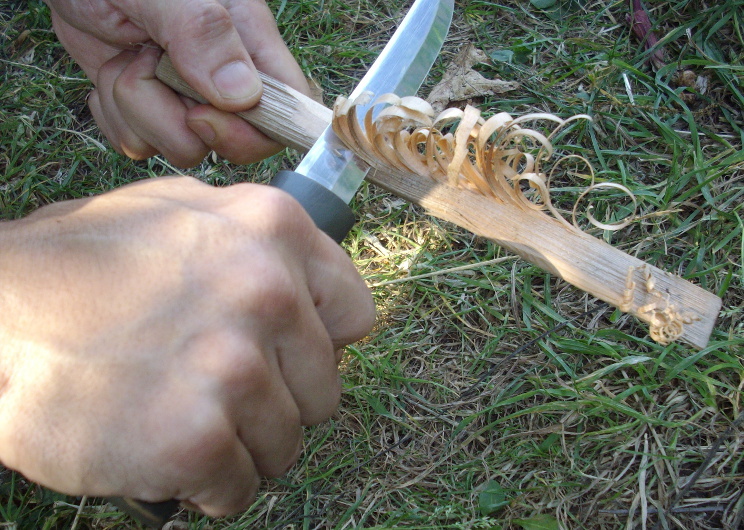 Making a feather stick for fire starting. 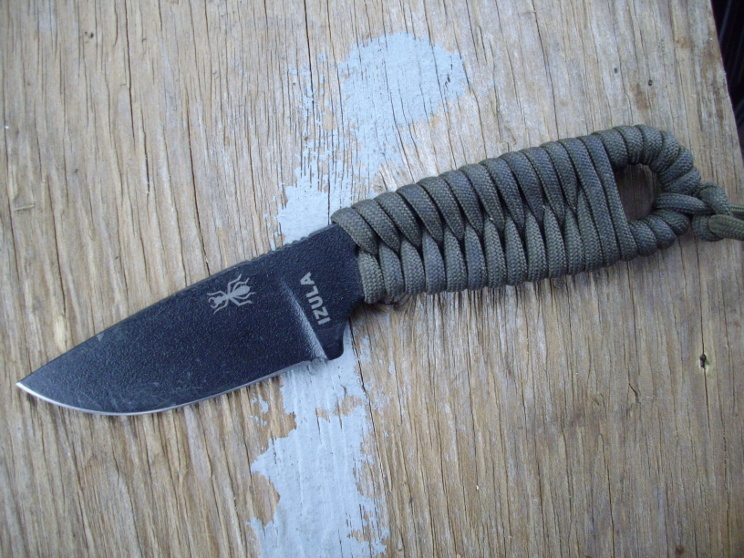 The ESEE Izula with paracord wrapped handle.